This blog post is taken from a talk by MADE.com’s Mitch Goldman at Ometria’s ‘Performance Marketing’ breakfast seminar. You can find the slides from his talk along with a the audio at the bottom of this post. If you’re an ecommerce marketer, it’s likely that dashboards regularly feature in your daily routine. Whether its monitoring sales metrics, marketing efforts across various channels, technical performance and more, dashboards are an important way of ensuring that everything in your online store is ticking over. 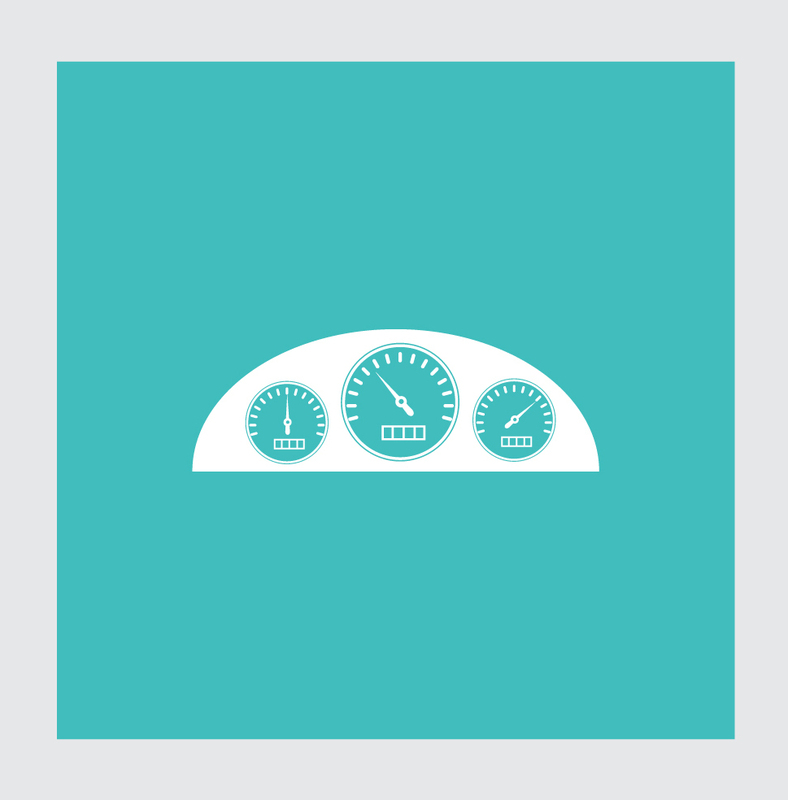 In general, dashboards tend to be based around positive metrics, things that you want to happen. How much money you’re making, how your sales are doing, what your conversion rate is, which search terms are doing the best - these are all commonly monitored metrics that you want to see go up and improve. But if ‘positive’ metrics and dashboards are only half the story; if they’re the only thing you focus on, then you’re missing a trick. It’s time to start focusing on negative dashboards as well. Negative metrics are important because they tell you where things are going wrong, and when you know where things are going wrong you can take action to fix the problem. And the best thing? When you start correcting problems shown up by negative metrics, your positive dashboards will start going up too! Here are some negative dashboards you should consider creating and monitoring regularly. What is the impact of having web page errors on your site? First off, they look bad. They’re bad for your customers, and they’re bad for the customer experience; they effectively stop visitors in their tracks and prevent them from doing what they want to do on your site. But perhaps most importantly, they break visitor trust in your site, and if they don’t have trust in your site they’re not going to buy anything. But behind the scenes, there’s a more important reason to monitor and fix these kinds of errors, and that’s Google. When Google (and other search engines) index your site and find errors, then your pagerank is going to suffer from that; then you’re faced with the even bigger problem of a people not finding your site in the first place. Moreover, if Google’s crawlers go to your site and find these kinds of errors it’ll also affect your relevancy. If the crawlers aren’t indexing your site because of page errors, they won’t be finding the right keywords you want your site to rank for because they can’t crawl as deeply as they usually would.. So what kinds of web errors should you put on a dashboard? Crawl budget - The big sites will get crawled by Google and other search engines all the time, but for smaller or new sites they give you a smaller budget. As you want to maximise the crawl budget that you have, the last thing you want to do is waste what budget you have on having them crawl 404s and broken pages. - Use a 301 redirect - if you’ve got the content moved somewhere else, use a 301 permanent redirect (not a 302 temporary one) to the other page. But be careful not to redirect and redirect and redirect, else you’ll end up with a redirect loop. - Don’t redirect all your 404s - they’re a natural part of your website, and Google knows this. 404ing a page is actually the preferred way of making content dead - if you don’t want your page ranking any longer (i.e. ‘Christmas sale 2009’) then leaving it as a 404 will encourage it to drop out of search results. - If you have, for example, a general sale page and you’re not using it right now but you’ll want to use it in the future and you have lots of nice inbound links to it, redirect to your homepage, or your ‘new in’ page - using a temporary redirect. Sitemaps are the direct way that you communicate with Google and other bots to tell them what you want to have indexed on your site. It’s important that you make sure that your sitemap goes to each page you want indexed and that they don’t have any errors. Google Webmaster Tools - One of the most popular, you can directly import your sitemap into it, and you can even upload multiple sitemaps (for example, for your videos, general content). Google Webmaster Tools will tell you if Google has problems with indexing them: it’ll tell you how much of your site it crawled, how many 404s, redirect loops, soft 404s, and a whole host of other problems it found. Google Analytics - you can use GA for measuring 404s: you can see how many of them there are, there are some interesting tips for creating dashboards if you suddenly see a rise in 404s, you’ll get an alert. Screaming Frog and A1 Website Analyzer - these tools are a bit like having a personal web crawler - they go into your site and crawl as if they were Google and tell you what they find - the best part being you can run it in your own time. Ecommerce is all about satisfaction. If your pages are slow to load, your customers are not going to be satisfied - in fact, a one second delay in page response can result in a 7 per cent reduction in conversions. Google itself doesn’t like to rank slow sites, as they’ve found that when slow ranking sites are high in SERPs, people start using Google less. When the guys at Zoompf did a research project that measured which factors Google takes into consideration, they didn’t find a correlation between total page speed, but what they did find a correlation with was time to first byte - essentially the time it takes Google to travel to your hosting servers, get in the servers, run and then come back and return that very first byte. Site speed has a really big impact on your Adwords quality score, and the better your quality score, the lower the cost per click is for your ads. If you can keep your quality score above 8 then you start getting a discount on your cost per click, but if you’re slow and have a low quality score, you’re going to end up paying more. Pingdom - gives good consistent results and accurate time to first byte. It also has a good alert system, and is relatively cheap. Google Analytics - calculates a full page load speed, but the results are not always entirely trustworthy. WebpageTest and Yslow - both of these tools have summary dashboards that give you a ‘grading’ for your page load speed. They also give you a graph that maps the time your page was loading, and details what was loading when. Load Impact - this is a great product if you’re not doing regular load testing. What they’ll do is say ‘here are a thousand people on your website for a few minutes’ and then tey’ll tell you what your page speed is based on that. This is especially useful if you’re putting out a lot of new releases - and the reports tell you a lot about scalability. Google PageSpeed Insights - this is a free tool, and all you have to do is type in your page URL and it’ll give you your rank out of 100. Adwords Performance Grader by Wordstream - this provides you with a good report on your Adwords performance. Reduce/remove 3rd party plugins (especially in header, or early on in your page). Customers who search on your site have been shown to be more active and more engaged - they’re usually further along in the purchasing process (One stat I’ve seen is that they’re 2-3 times more likely to buy from your site if they’ve gone and typed something in your search bar). So when a customer searches and you give them nothing back, it’s a real wasted opportunity. Even if you don’t have items that match their search query, it’s important to give them something: maybe a ‘did you mean...’ spell check error, or other related content. There are a whole host of positive dashboards that will tell you about what people are searching for - top search terms, which products are showing up most in your search results. But a useful negative dashboard is to track the number of searches that are returning ‘nothing’ and what the search terms are - this will guide you in your efforts to stop visitors from bouncing. Try adding synonyms if you find that people are mis-spelling things, add related products, or use search results to guide what products you should stock that you don’t currently. Having spelling mistakes on your website is probably the fastest way you can break customer trust - and a lot of online retailers ignore this, or leave it to their content people. Luckily, there are automated tools that go through your site and pick out potential spelling errors (A1 Website Analyzer does this, as do Checkdog and Screaming Frog). Usually the first time you run a check like this you end up with thousands of ‘mis-spellings’ as it’ll turf up a lot of your branded terms as well, but once you add these to the dictionary then it becomes much more useful. Mitch is Product Owner at MADE.come and has a wealth of experience in making Magento stores run efficiently. He has over 19 years' experience in various roles as a project manager and product owner. He is also the organiser of the London Magento User Group and London Magento Hackathon.